The eight of ten entrants, playing on the Friday, did not let their spirits become dampened by the rain. 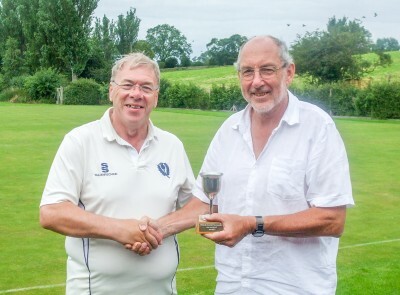 Though the lawns flooded and play was postponed, Pendle’s chairman, Roger Schofield organised an alternative croquet doubles match, which was played on the croquet carpet in the local community centre. At around four o’clock, the ever vigilant manager had spotted that lawn four and maybe one other was playable, and the tournament began in earnest with three games able to be played. The tournament was intended to be an Egyptian, with secondary trophies for the best low and high bisquers who were not the winner. Because of the rain delays, the tournament was changed to a high bisquer’s trophy (10+ H/c) and a low bisquer’s trophy (9 and less) with an Egyptian running at the same time across all games played. There was also a fastest game trophy. 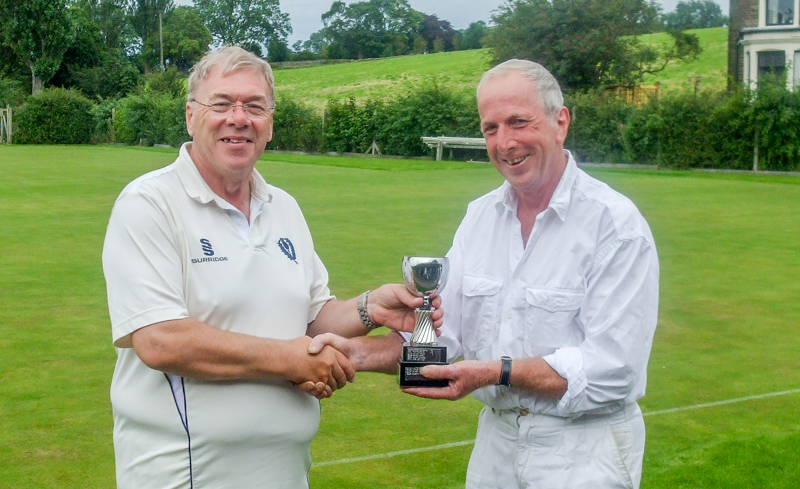 The Saturday and Sunday provided perfect croquet conditions which were enjoyed by all ten competitors. In the low bisque block, Ken Jones (Edgbaston) won three out of four, as did Garry Wilson (Pendle), but as Ken had beaten Garry, he took the trophy. In the high bisque block the man to beat was David Lloyd (Crake). David remained unbeaten in the block and took the trophy, with Nathan Baker (Fylde) a worthy runner up. With two blocks of five, there were a number of inter block games which added a little spice to the Egyptian competition. 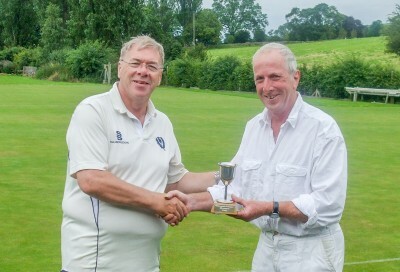 The winner of the Egyptian was David Lloyd, who is having an excellent first year of competitive croquet and has again reduced his handicap, having been unbeaten throughout the tournament. Winning was not easy for David, but he came through as victor in some very, very close games. Nathan came a very creditable second equal with Ken. Sadly, the manager came in fourth. David Gillett, a Pendle country member, living in the south of England, took the fastest game trophy with a 63 minute demolition of his opponent in only two turns. Despite the first day rain, it was an excellent tournament, with memorable games and a lot of fun! Until next year….